Do you want to learn how to start a blog? Then you have come to the correct place, and I am glad to have you on my blog. In this article, I will explain all the necessary steps to start your blog in a correct manner even without any technical experience and knowledge. I had written my first blog in the year of 2007 there were no tutorials or guides available for getting started in blogging. When I searched, I had to browse so many different websites, and it took a long time to learn all this. In this step-by-step tutorial, I will instruct everything that is required to do, in a straightforward and easy format and you will also learn many more things about blogging. But, why start a blog? You can make money while working from your home. It’s true, as I am also working as a full-time blogger & earning a handsome income. However, initially making money with a blog is tough but still it’s a very low-risk business. Nowadays, publishers prefer to work with authors that have an online presence as it’s lot easier to sell books to people that know you. That is why a blog is the simplest way to start & to create an online presence. Blogging assists you to get more exposure for your existing business & to give a reach to a huge number of people at a very low cost. If you have the quality of writing then you can share your story, encourage others and build a community. 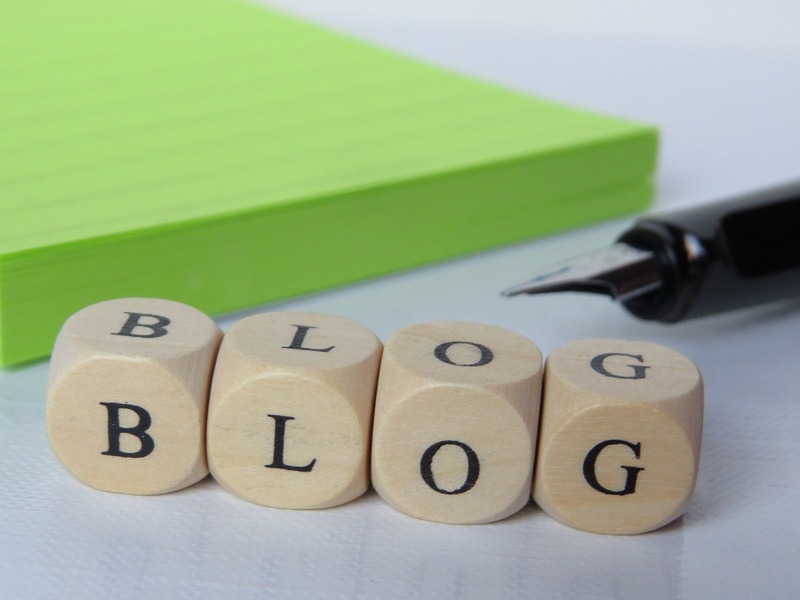 A blog is a fabulous place to get exposure in all the areas you ever wanted. If you’re a part of any organization, business or a company, then this step will be easy for you. That means, your blog should be about your product or service related or any other cause which you want to promote. The blog should be something about that you can enjoy. For blogging, you should select a topic in which you have plenty of room for discussions and ideas. Choose a niche area that can give you an opportunity of establishing yourself as a renowned personality. The goal for your blog should always be to become a complete resource for its topic or niche. There are various service providers, who assist you to start your own blog or website. Maybe you are tempted to use a free service, but you should be aware of that a free services will only offer you a limited service, and in some cases, they are pretty limited. A paid service will give you some great features for what you pay & they aren’t that expensive too. There are many blog sites, but WordPress is the most popular blogging platform around the world. I also use WordPress, and I want to tell you that I really appreciate its functionality, flexibility & ease of use. On the other hand, it also assists to share tools and ideas with a broad community of people. It’s an excellent choice and if you want a website without a blog, then also you need not worry as WordPress will make it easy & simple. Caution! Within WordPress, you have two options (WordPress.com and WordPress.org). Most people get confused by the two so here I have mentioned the differences. This guide explains the steps regarding how to start a self-hosted WordPress blog. A host is the one which provides server space for your site. Additionally, it assists you to allow others to find your site on the internet. Disclosure: As I am a customer who is paying for over 8 years that is why there are some referral links below which are available without any additional cost to you. Moreover, I will earn a commission if you make a purchase from these links. So are you ready for this? Then start by clicking here to go to Bluehost (by clicking this, a new window will open so you will be able to refer the instructions below as you move forward). Once this page opens, you need to click the green “get started now” button. Maybe the images you see here can slightly vary from the ones you see on your screen. You will find this change as Bluehost never stops making the site improvements but the general process is the same. Now you need to choose a plan along with which you want to start. I prefer to go with the Plus plan as this plan will assist you to get more features. One more benefit is that all the plans come with one free domain for one year. However, if you want to go with a super budgetary form, then I will suggest you choose the Basic plan. You can upgrade your plan at any point of time. To move towards the next step, you need to click one of the green “select” buttons. A domain is basically a web address. For example, SaveDelete.com is my domain. On this screen, you can either choose a new domain or can enter your existing domain. If you don’t have any domain, then you need to enter a new domain name on the left. (See tips below). You need to make sure .com or any other extension as per your choice & should select it from the drop-down menu beside it. If you’ve already registered a domain name, then you just need to enter it on the right (don’t worry, it won’t mess your things if you’re using the domain elsewhere, it is only required to identify your account). If possible go with a .com. Create a domain name which is easy to say and spell. Don’t include numbers, hyphens or any other confusing strings or terms. If you’re not getting what to use, then your name is an easiest & safest way to start. If you are getting trouble in finding the available domain name then be creative and try few phrase. On the next page, you need to enter your account info, only working email address should be entered here as this is where your login information will be sent. You can select your Account Plan under package information. Choose a package as per your need & budget. Bluehost offers you a reasonable monthly plan which is a good option for your own blog or website. Should you choose those extra features? Most of the cases, I skip the other add-ons except Domain Privacy Protection as it assists to protect your personal information. If you are using an official address and there isn’t any problem. However, if you’re using your personal contact info, like – home address, phone, etc. to register your domain then it is highly recommended by me to give consideration on domain privacy. Note: Domain Privacy option will only appear if you are registering a new domain & not for a transferred domain. Fill your billing information & then confirm that you’ve read the fine print and after that click Submit. Continue towards completing your purchase. It’ll be asked to add any upgrade, I just skip them. When you complete your purchase, you need to check your email. You’ll find a welcome email from Bluehost along with your control panel (cpanel) login info. You can use this information for future reference. Then enter your Cpanel login info from the email & select the “hosting” tab if it’s not already selected. Once you logged into your cPanel, you need to click Install WordPress icon under Website Builders. After that, you’ll get a window which looks something like this. Then click Install button for starting the WordPress installation process. If your domain is not already chosen then, you need to choose your Domain name from the drop-down menu. Then leave the directory field blank until you haven’t a good reason for creating a subfolder. Click Check Domain. Next, check the box for showing the advanced options. Enter your Site Name or Title (e.g. Amy Lynn Andrews, Dave’s Blog, Sally’s Song Factory, etc.). It’s different from your domain that ends in .com or something similar like this. Choose an Admin username & a password for the purpose of login to WordPress once it’s installed. Enter your email address as all site information will be sent here. Read and agree to the terms & click the Install Now button. After installing WordPress, you will see the “Status: success” indication. Then take note of the information for the purpose of accessing your new WordPress site. You will receive this information via email. At this point, you will receive two welcome emails. First is login info for Bluehost hosting account & second is login info for your WordPress account. You need to keep both, although you will use your WordPress login information much more frequently. Did you register a new or existing domain? If you have registered a new domain earlier then now you can type your domain into a browser and then your WordPress site will appear. Click on the Site URL link in your WordPress at your welcome email to go to your brand new & live website. Additionally, clicking on the Login URL link will let you go to the WordPress login page. On this page, you need to enter your WordPress username & password to get into the back end of your WordPress site. This is the place where you can write your posts. If you have used an existing domain in Step 4.. Your current domain will not display to your new website unless you change your name servers where your domain is currently registered & changing the nameservers shows your domain to this new site. IMPORTANT! When changing name servers, your domain will start bringing visitors to this new website. That is why if you are currently using your domain on any other site then do not change your server name until your new site is set up and ready to go. Meanwhile, you can still access your new WordPress blog through temporary URL which you have received in your welcome email from Bluehost. If you haven’t received the welcome email then simply call them and let them know that you need a temp URL for your new site. Then, need to go to the registrar where the existing domain is registered (GoDaddy, Namecheap, etc.). After that, you need to enter the above information in the right place. This information varies from registrar to registrar, so I recommend you to call them if you have any problem. Whether you register a new domain or transferring an existing one, you will be able to become successful, if you type your domain into any browser. Congratulations! Now you have become a proud owner of a self-hosted WordPress website. Blogging is a learning process & you learn as you go and there are many things you can do at this point & tackle things. Here are some points that you might want to explore. Do you want to Learn WordPress Basics? To learn WordPress basics, you can visit my Contents page & can organize a list for getting all my tips, tools & tutorials. If you work through this list of the article then you can become able to handle the basics in a proper way from publishing a post to adjusting your settings & to understanding permalinks, etc. Do you want to change your blog design? If you want to customize your blog design a bit then here is my post about choosing a WordPress theme. You can also check out my post about blog design dos and don’ts. Do you want to know, how to get traffic to your blog? For this purpose, I’ve written various suggestions in this post. If you want to earn money through blogging, then read my post about ways of making money here. Most importantly, don’t forget to read my list of things to do before getting a start in the way of making money online. Do you want to remain updated by keeping all the latest blogging news? You can Sign up for our daily newsletter. I send you bite-sized tips everyday morning & it’s totally free and a very popular choice. Is this post helpful to you? If so, then you can share this information with others too? You can easily use the sharing buttons below. Thanks! Shailesh you can contact me with details of your Blogger account and the WordPress installation .. I will sort out your problem happily. Do use my contact us page .. to provide the details. Well, same thing happened with me! My all search result was gone once I transferred from blogger to word press. At the end as I am not SEO expert I made new one and that was really sad since old blog contains almost 200+ posts. Now, I have directly started from word press in order to avoid anything like this. sir the best plan for new wordpress blog.Basic or Plus. I have a blog in blogger. I want to know which is more better for Google Adsense between blogger and WordPress? and how? Bluehost is one of the top hosting companies, i used to use it before. This is the best way to create a new blog. Thanks you it helps me a lot. I am struggling alot to create a new blog but I found that news which solves my problem. Nice blog Jaspal JI, i want to know one thing which wordpress theme is best for google adsense? Which Blogging platform is good for newbie blogger? Perfect info that too step by step in detail. Also, Congrats for being in the most influential top 20 Bloggers of India in 2016 ( As per YouTube videos). i started blog but not getting earning yet ? I want to to have my article on your website?